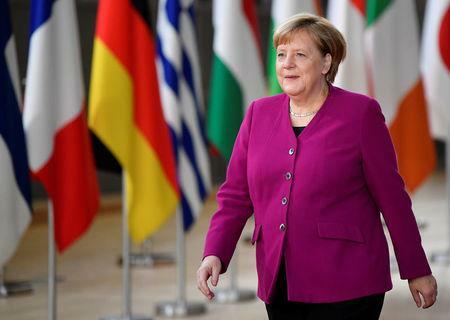 BRUSSELS (Reuters) - German Chancellor Angela Merkel said on Friday that an Asia-Europe summit in Brussels showed that some two-thirds of the world was committed to multilateralism and recognized the benefits of free trade. "The summit shows that countries have gathered from Europe and Asia who want a rules-based trading and have pledged themselves to multilateralism," she said, adding it was an important signal given that Europe and Asia represented almost two-thirds of world GDP, trade and population. "Our theme is about creating connections, for example through free trade agreement... We can show that it's about creating win-win situations, making it clear that when one profits, the other also profits."